Moto 360 Gets Another Update to LWX48T, Last Minute Bug Squashing? As many of you noticed, the Android 5.0.1 “Lollipop” update for the Moto 360 didn’t exactly rollout to all yesterday, even though we were expecting it to. We still aren’t sure why that is, but with an even newer update rolling out to select 360 units today, the delay could be due to a last minute bug squashing. 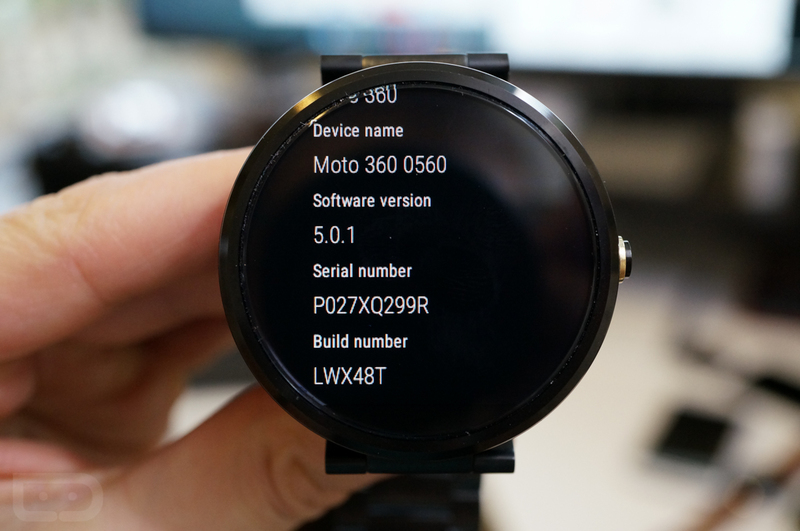 In the image above, you will see that one of our Moto 360s received a new update today to build number LWX48T. The previous Android 5.0.1 update rolled out as build LWX48P. A jump from “P” to “T” isn’t much, so I would imagine there are few differences between the two, which is why we will assume that a last minute bug discovery is really what’s causing the slower-than-expected rollout. Motorola’s forums manager made mention of a newer update (same one that we just received) yesterday, while also noting that an “off-set watch face” issue could be the culprit for a newer build already. So if a new update is already making the rounds, how long before everyone sees it? Tough to tell, especially since most haven’t even seen the original 5.0.1 update. Edit: Matt did say that he expects it to be out on all devices by the end of the week. Let us know if you get either!